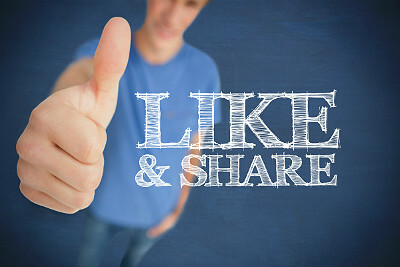 Getting likes on your business's Facebook posts may seem like throwing spaghetti against the wall. You know some sticks and performs really well, while others just flop. As far as the why, it's a mystery. Thanks to a study compiled by researchers at the Graduate School of Stanford University and The Wharton School of the University of Pennsylvania, part of the mystery has been cracked. Trust us, using these scientifically supported tips and tricks will help you get more bang for the same amount of time spent. Learn the top four data-proven tricks to help your posts on your business's Facebook page get more likes, comments and impressions below. 1. Post more video on Facebook for higher engagement. Right now, about 0.5 percent of Facebook posts contain video. Yes, you read that right less than 1 percent of Facebook posts are using the medium that reaps the most engagement. Video has five times the engagement of a post with a link, app or image. Before you post next time, add a video. And remember, it doesn't have to be Hollywood quality to be good or effective. 2. Steer clear of emoticons. While emoticons may seem like a great last-minute addition to your post, it will actually do far more harm than good. Adding a positive or negative emoticon to your post hurts your ability to get likes or comments by as much as 66 percent. Instead of posting an emoticon, type up a status that shares your emotion with the world — that will be much more memorable and make a much stronger impact. Social media is always about engaging, connecting and inspiring your fans. And, while you may want to convert them to customers, talking price isn't the way to do it. In fact, mentioning price is the worst way to get likes or comments on your Facebook posts. The next worst way? Mention a deal on Facebook. Remember, Facebook is a place to persuade customers to fall in love with your products — not push product directly. 4. Want comments? Use the blank space. The best way to get oodles and oodles of comments on your Facebook post is to have your fans fill in the blank. For example, "What I love most about springtime is _________." Once you give your fans an easy, clear way to share their voice and opinions, they'll be happy to chime in. If your business is frequently posting fill-in-the-blank questions, then come right out and ask a question. This is the second-best way to garner comments on your Facebook page. When working social media, remember to use the data and techniques we already know works to make the most out of your investment. Socialize smarter with the four data-proven tips above.